To protect your money from WhiskyInvestDirect's failure your un-invested money is held at Lloyds Bank in a segregated and pooled account designated 'CLIENT'. Under English law a bank may not consider the money in a trust account designated 'CLIENT' to be offset against debts which WhiskyInvestDirect might incur in running its business. 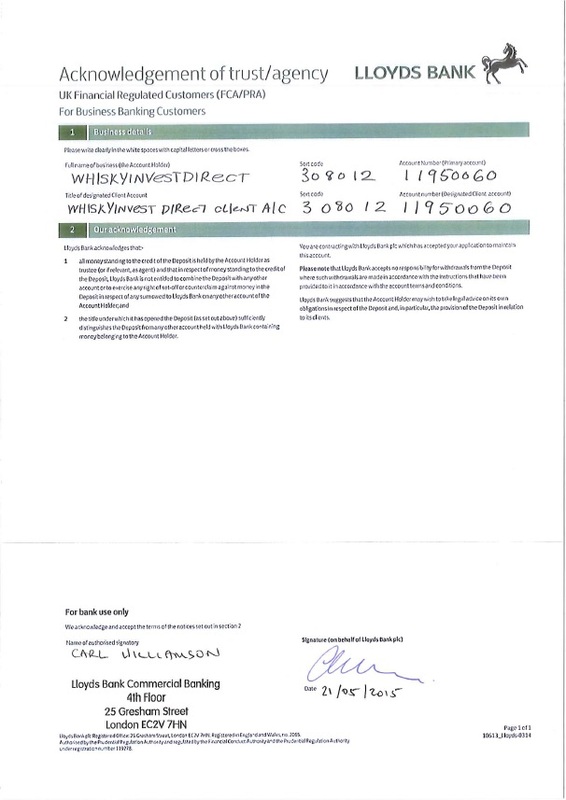 Lloyds Bank provides a document acknowledging the trust agreement for the client account, a copy of which can be downloaded here. Learn more about how WhiskyInvestDirect ensures your safety here.